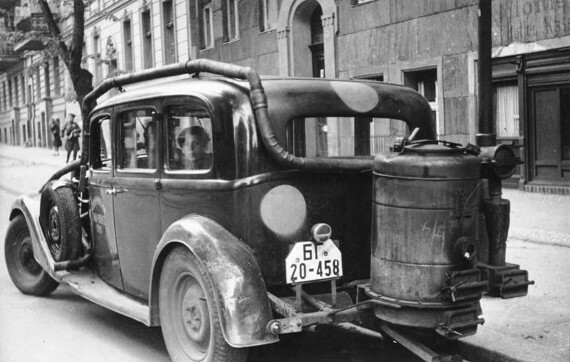 Bild: Bundesarchiv Bild 183-V00670A, Berlin 1946, Auto mit Holzgasantrieb. Creative Commons Attribution-Share Alike 3.0 Germany. Via Wikimedia Commons .